A delicate pendant and earrings set made from silver. 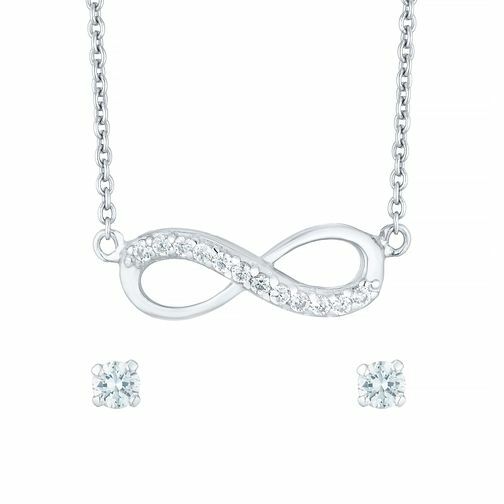 A fine chain necklace is set with a simple, polished infinity pendant set with a sparkling cubic zirconia. Complete with a matching pair of stud earrings, these beautiful items can be worn together or separately.